A longtime staple of coffee bars, chai flavoring is finding its way into cocktails. Chai flavors can add complexity and flavor to cocktails. Minneapolis' Spoon and Stable makes a Dark and Stormy variant (above) using rum, amaro, ginger chai and ginger syrup. Thanks to its prominence on the menu at Starbucks and a rising role at coffee shops nationwide, chai is now being used in both hot and cold cocktails. The spiced flavor is featured as a traditional tea or as a syrup, providing depth, tannins and a taste profile that is hard to replicate with other single ingredients. 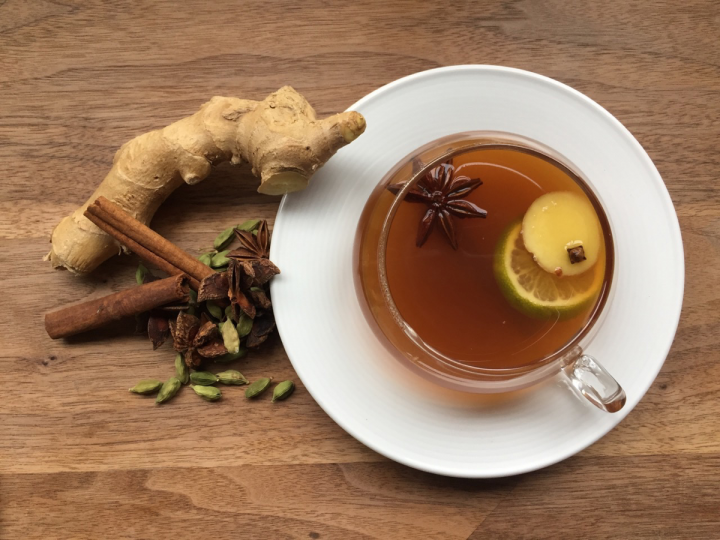 Chai’s typical spice mix includes cinnamon, clove, ginger, cardamom and allspice, along with additional flavors like fennel, peppercorn, vanilla or star anise, creating a varied and dynamic taste experience. Zarr pairs chai with darker spirits like Bourbons and other whiskies, Cognac, and aged rums. He makes a chai syrup for use in a variety of cocktails. Rye’s Dark & Stormy ($10) comprises Gosling’s Black Seal rum and ginger beer, house-made chai syrup, and lime juice, while the Harvest Moon ($11) is made with George Dickel Rye whiskey, Lustau Dry Amontillado Los Arcos Sherry, Rothman & Winter Orchard Apricot liqueur, locally produced #22 Cardamom Honeysuckle bitters and house-made chai syrup. At the Southern bistro Rapscallion in Dallas, bar manager Ravinder Singh enjoys chai’s varying taste experiences. He uses a house-made chai syrup in several drinks on the venue’s tiki cocktail menu and also infuses the chai syrup into vermouth. “The benefit of chai is its huge punch of flavor,” Singh says. “People are happy to try chai in a cocktail. It works in all seasons—a light, refreshing spring and summer cocktail or a boozy, stirred fall and winter drink.” Rapscallion’s Chai Moon Swizzle ($14) mixes Stillhouse Original Moonshine Clear Corn whiskey, Angostura Aromatic bitters, house-made orange acid and spiced chai syrup, and muddled mint.